WATCH Celebrate #GoldenGirlsDay with Golden Girls trivia and of course, cheesecake! Picture it: Sicily, 1922. Sophia Petrillo is dreaming that one day a national holiday will be celebrated in her honor. Well, her wish has finally been granted. Disney ABC Television Group has named July 30 #GoldenGirlsDay! The date just so happens to also be National Cheesecake Day, which fans of the hit show will know was the fabulous four’s favorite dessert. In honor of the very first #GoldenGirlsDay, we’ve compiled some facts that even the closest pals and confidantes may not know! Even "back in St. Olaf," no one had ever heard some of these Golden Girls set secrets! 1. Rue McClanahan, who played Blanche, had a clause in her contract that allowed her to keep all the clothes she wore on camera. Rue McClanahan stars as Blanche Devereaux on "The Golden Girls." McLanahan got to keep all of Blanche's wardrobe in the show. 2. The late stage and screen actress Elaine Stritch revealed once that she originally auditioned to play Dorothy, the show's writer didn’t like her very much. In fact, one widely-reported rumor claims Stritch ad-libbed a curse word during her audition, which didn’t go over well. 3. Although the show takes place in Miami, the home that we see featured throughout the series is actually in the Los Angeles neighborhood of Brentwood. Bea Arthur played Dorothy Zbornak in "The Golden Girls" from 1985-1992. 4. Obviously, the ladies love cheesecake on the show. 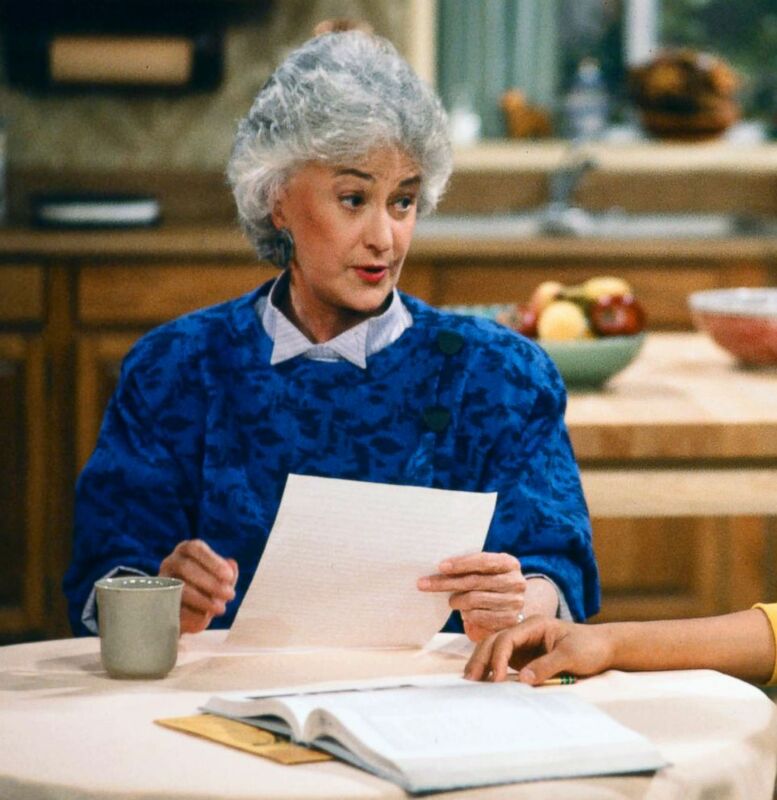 But in real life, Bea Arthur, who played Dorothy, hated cheesecake according to HuffPost. Ah, what you’ll sacrifice for your art. 5. 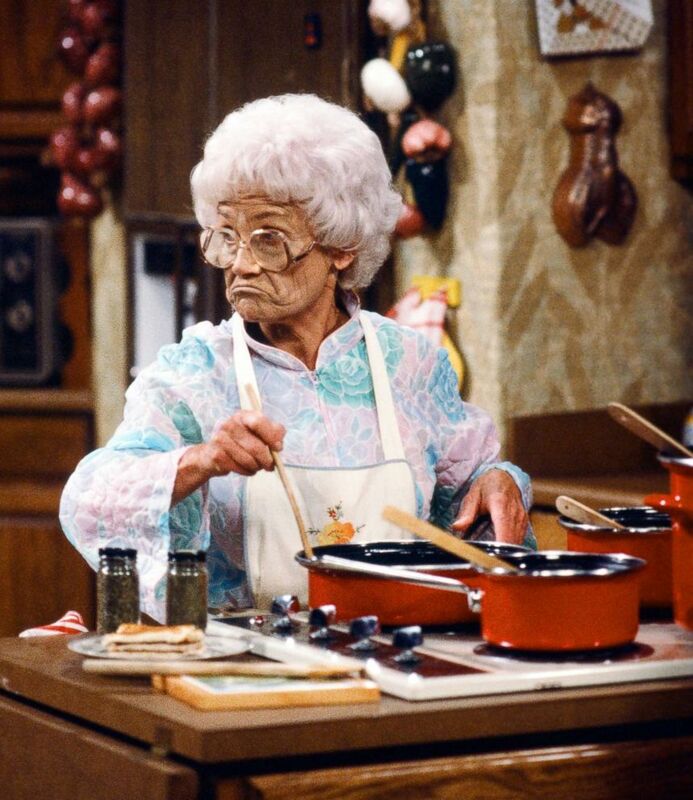 Estelle Getty, who played Sophia, was a year younger than Bea Arthur, who played her daughter. It took the hair and makeup staff almost an hour to make her look old enough to play the sassy Italian mother we know and love. Estelle Getty starred as Sophia Petrillo on "The Golden Girls." Despite playing Bea Arthur's mother in the show, Getty was a year younger than Arthur in real life. 6. Estelle Getty found Sophia’s infamous straw handbag shopping for props in Los Angeles while preparing for her audition, according to The New York Post! 7. Betty White played word games with Rue McClanahan between takes on set. The former often competed on game shows. 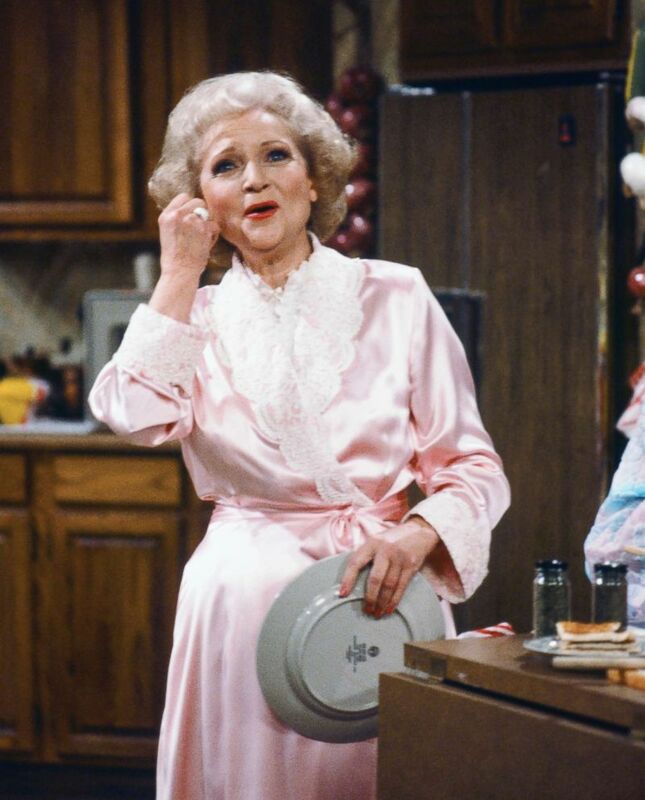 Betty White stars as Rose Nylund in the hit sitcom, "The Golden Girls." 8. Golden Girls action figures were unveiled this month at San Diego Comic-Con. The entire collection costs almost $115. Some fans may find that worth it, though. If you’re not in Miami with the girls themselves, you can join in on the #GoldenGirlsDay fun with our pals on the West Coast. Check out their livestream at 4 p.m. ET/1 p.m. PST to learn how to bake the official Golden Girls cheesecake and to play trivia and share stories about our favorite ladies from Miami. ABC News is part of Disney ABC Television Group.